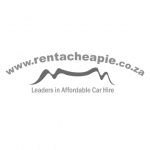 Rent a cheapie contacted us to help them receive deposit payments from their customers, ahead of the booking date. We developed a customised payment page and deployed our email pay solution, which enables them to send pre-populated email payment request. The system has been set up to enable them to process partial and full refund on a card, as well as process extra charges in case of traffic fines.